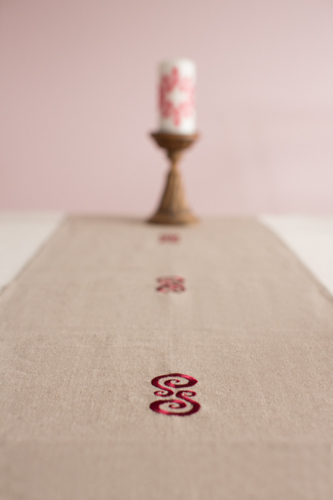 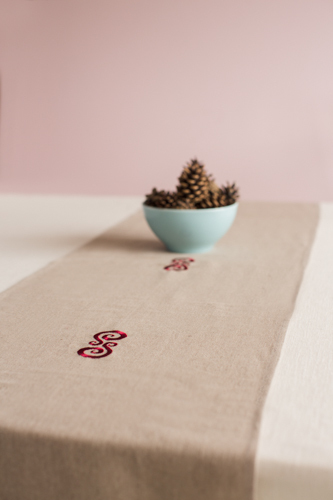 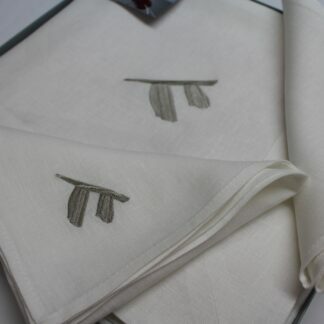 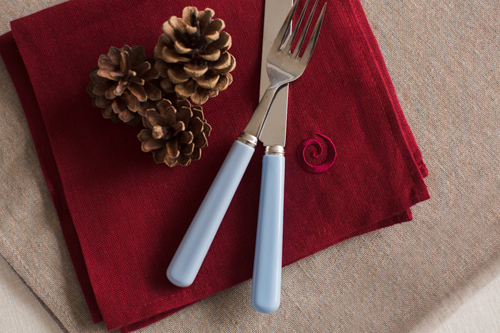 This is a beautifully textured natural table runner in 100% linen It is designed with our heritage in mind and is not just suitable for Christmas but any time of the year. 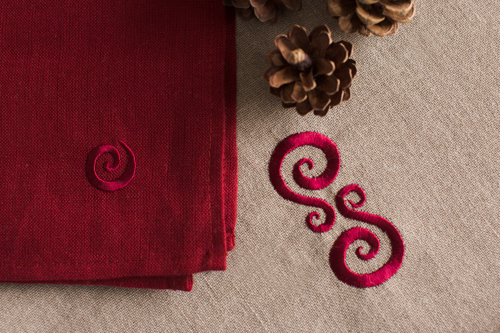 Made with deep hems on each end. 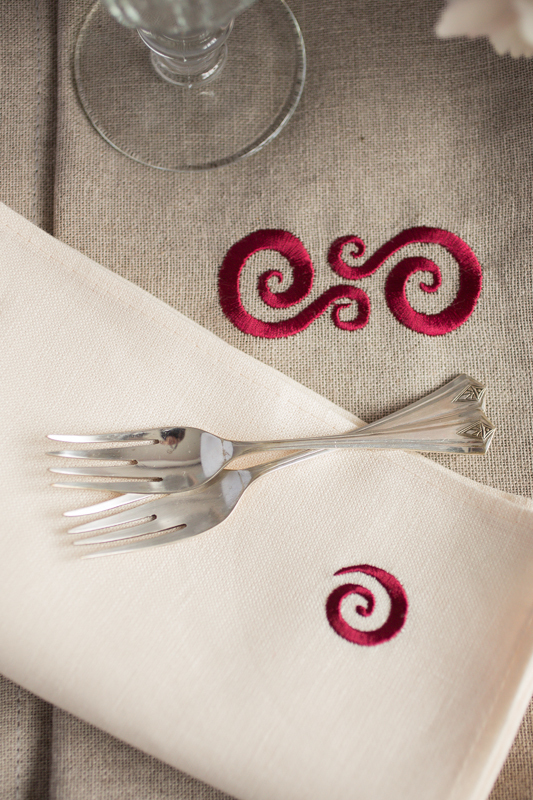 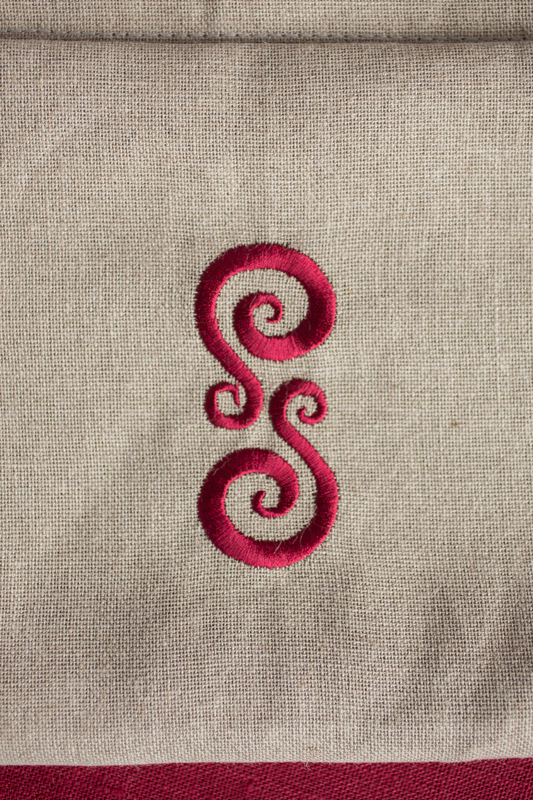 Embroidered with the “Pre-Celtic” motif in Burgundy. 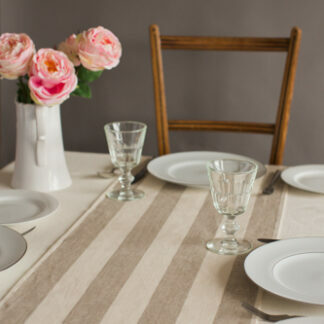 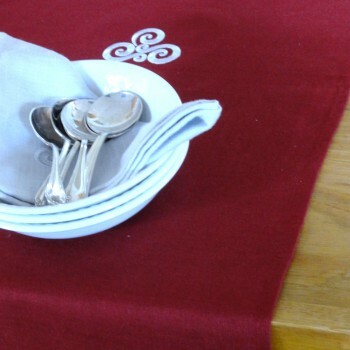 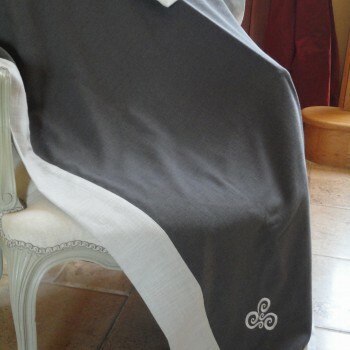 Wash on a cool wash – Iron while damp- see care of linen.